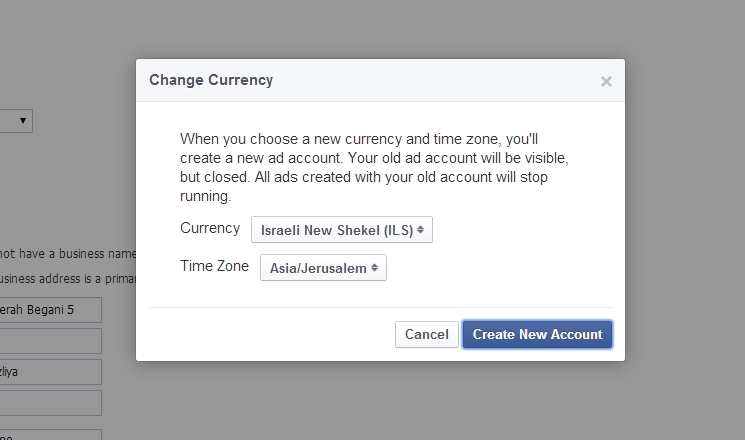 Some users of Facebook’s Ads Manager can now change the currency units and time zones of their accounts. Readers Or Fialkov of Fialkov Digital and Gilad Adin shared the screenshots above and below, with Fialkov telling AllFacebook the new feature eliminates the annoyance of using their accounts with the wrong currencies and time zones, and adding that new accounts are actually created when using the feature, and old accounts are deleted. 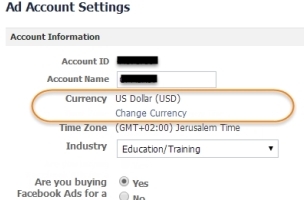 Ads Manager users: Do you have the options of changing your accounts’ currency units and time zones?